Well after splitting my rear screen last weekend I was left with no alternative but to seek out a replacement. 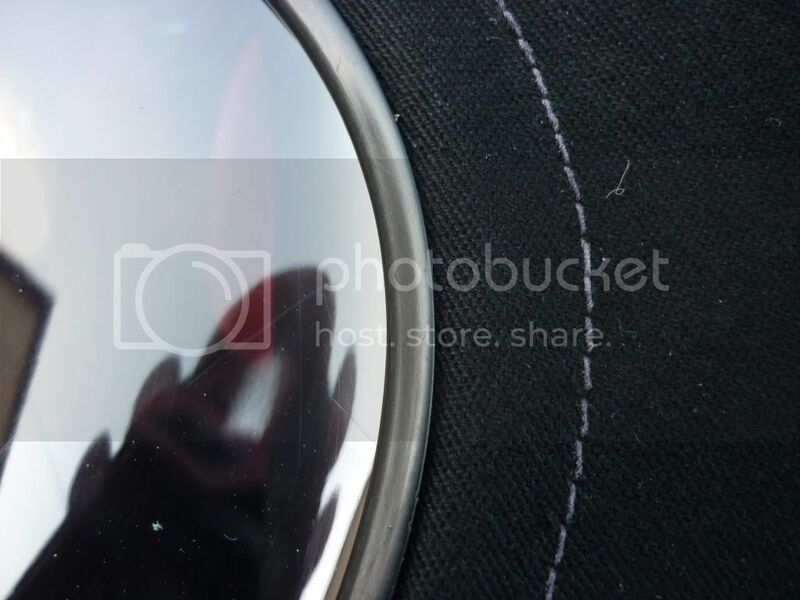 An OEM screen is now in excess of £200 so I started a search for a good quality aftermarket one and having looked at several on offer on the Internet and not really liking most that I saw I stumbled upon one on Ebay advertised by a company called Art-Design-Munster based in Germany. Their initial advertisement was priced at £93 plus £15 postage which was a lot less than what BMW charge but after some investigation I found you can pick them up for £76 all in if you order off German EBAY. The quality looked good from the photo's and blurb and a couple of emails to the guy convinced me this would be the best and cheapest option so I placed an order. I was pleased when two days later it turned up well packaged and everything included with english instructions to do the job. The company has a website which is quite good and very informative albeit in German but google soon sorts that out. You can all guess what I have been doing today so I thought I would share my experience with you all. 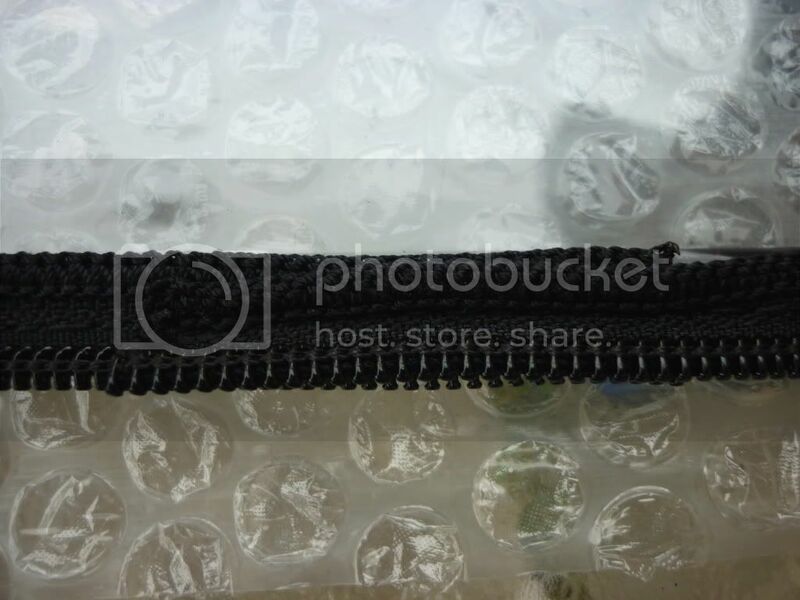 Firstly opening the box revealed the screen itself wrapped in bubble wrap, a spatula to aid separating the hood, a roll of double sided tape, zipper and little clamps. Following the instructions there is a clamp holding the original zip in place which must be removed to seperate the old screen from the hood. Release the little prongs and pull the clamp apart then you can seperate the zip by running your finger around the seam and it will eventually fall out (no turning back now!). I have taken a couple of pics of the old and new screen together in particular the seam/zip which I hope shows how similar the new one is to the original where you finally end up tucking in the mohair edge of the hood. Here's a close up of the zip ends. 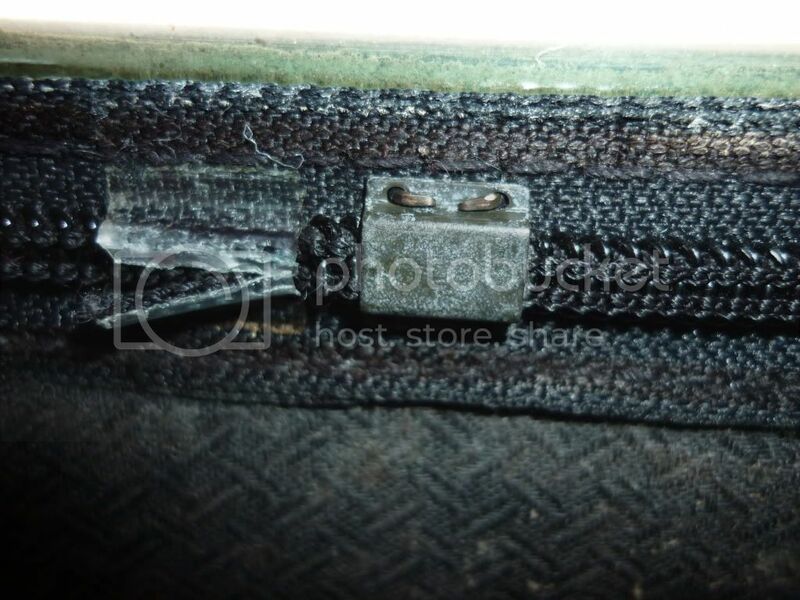 The zip is exactly the same length as the original making it easy to judge where to start zipping the new screen in which is the most difficult part of the job as it is quite fiddly but once on it is just a matter of taking it steady and slowly you don't get the zip trapped particularly on the corners. I recommend zipping a few inches at a time and inspecting the teeth of the zip to make sure they are all located correctly as it is easy for one not to locate properly enabling you to go back and relocate it. Once zipped up all the way around the zipper just slides off the end and you just then have to secure the ends either with the original clamp if still usable, new clamps supplied with the screen or as I chose to stitch the zip ends shut which I found the easiest albeit laborious as it meant you were in and out passing the needle from inside to out. There was a role of double sided tape include which is used to aid sticking the hood fabric down under the seam. again this was a little fiddly to install but works well. Here are some more pics of the finished job and some closeups of the seam which I hope you agree is as good as the OEM one if not better. And finally the complete screen in all its glory which is now so clear I keep wondering if there is anything there when I pull up the drive. Just the information I was looking for. Thank you for the find and info aceman, i will get one ordered. Don't forget to use a blanket or a sheet to protect it when its down for any period of time. Sorry can't give a link at the moment as work blocks ebay but if you bring up the UK listing and click on other items for sale you will come across the german listing. I will try and post the link tonight. 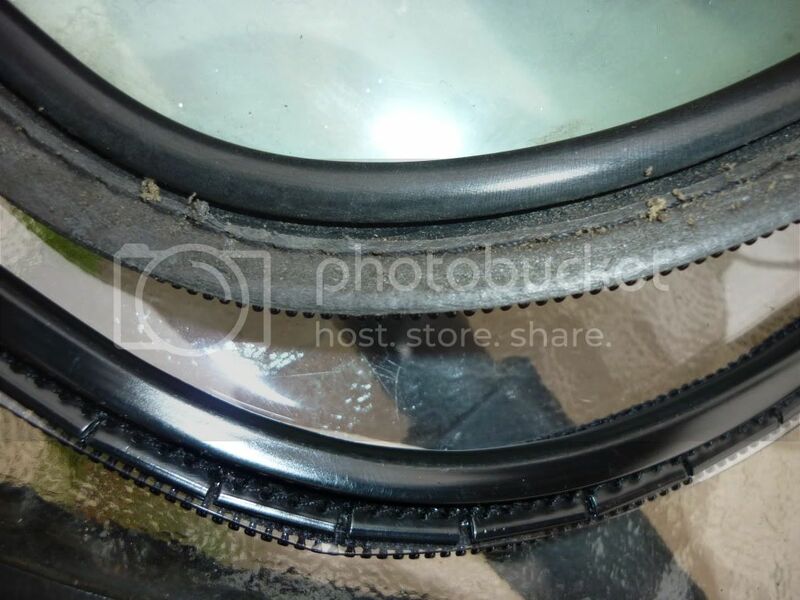 Excellent post Aceman like me and probably hundreds out there we all would like to replace our rear screens but have lacked the confidence in 'A' the product and 'B' the ability to do it ourselves and not lashing it up and having to get help. Now definitely on my list of things to do. It's a little strange he has several listings all at different prices but I checked with him to ensure they are all the same product which he confirmed and said he was in the process of reducing prices so I guess he is waiting for the listings to end before revising the prices. Aceman, I think I'll do this next year because mine is not split (yet), isn't too milky (again - yet), and I am concerned that it has to be done in the warmer weather and by the time this would arrive from Germany we might be past the end of the balmy Indian summer (as promised by the Met Office). So, I shall email the manufacturer and ask him if he expects to be able to supply next year and isn't running down this model. I fear that if I order one now it'll get stored somewhere safe and disappear into the mass of stuff stored 'somewhere safe'. I have had this in my watch list for several months now but never got round to buying it as the split in my screen is only around a cm long and right in the corner so I've been living with it. I was going to wait until next year now as the hardtop will be going on soon and it saves folding the new screen down for several months throughout winter, but now you have purchased this and recommend it I think I will be one buying sooner even if it doesn't go in until spring. Nice one Aceman and a good write up.I have bought one for the spares dept as mine is 'Cracking' on a bit and in my opinion it's worth having one in stock at that price,considering how fragile and expensive OEM are. Youth would be more useful if it came later in life! ordered mine, wont fit till next year!!!! i have a new blanket too! OH B****R I just ordered an OEM one at £150 just waiting for it to arrive then I need to decide if I have the nerves to fit it! I Thought it was nice weather, not overly warm but not cold either, tried putting the hood down on the drive back home from work and the plastic screen split vertically. Gaffer taped it up last night & thought I'd pop on to the forum and search for help today - its been a long time since I been on here - I hadn't realised the forum look & feel had changed so much, still finding my way round! I came across this thread when searching for help which is very helpful and informative with a great write up (thansk to Aceman), the only problem is the German seller listed here is now selling them for £133 inc delivery & not the £76 that it was going for previously and if you go on to their German site they're listed for e149, so obviously they have incresed the price and they also have a nice link to this thread! Very nice to be using this as free advertising whilst increasing the price! Also enquired from BMW, the OEM is now £220 inc VAT (so the German seller is still good value in comparison just not as much). Does anyone know of any other supplier for cheaper (whilst maintaining top/good quality)? Any help would be greatly appreciated. Interesting to know that a bit cheeky though. Check all their listing on ebay as there were some high priced listings and low priced ones on tat he same time I bought mine and was given the excuse when I enquired to make sure they were the same that they were just going through a price adjustment exercise. 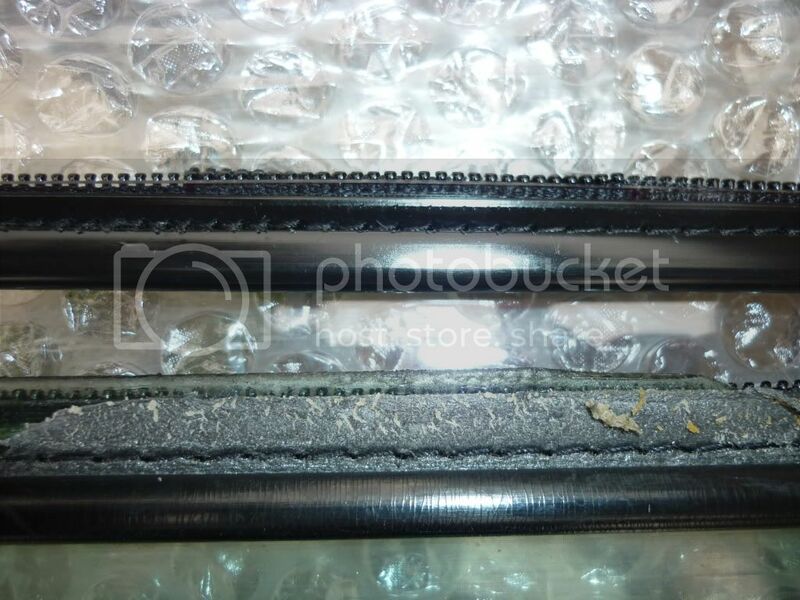 There is someone on Ebay that is remanufacturing original screens and sewing the original zip etc. to new screens for about £60, might be worth giving him a call. Thanks Aceman, would you happen to have the link? I can't see it for the life of me! wish i had read this post before buying the cheap one on ebay ! looks much better quality ! Ok just spoke to Tony at Soft Tops and was quoted £140 fitted (a couple of hours work, up in Coventry) but this is just for the plastic screen. 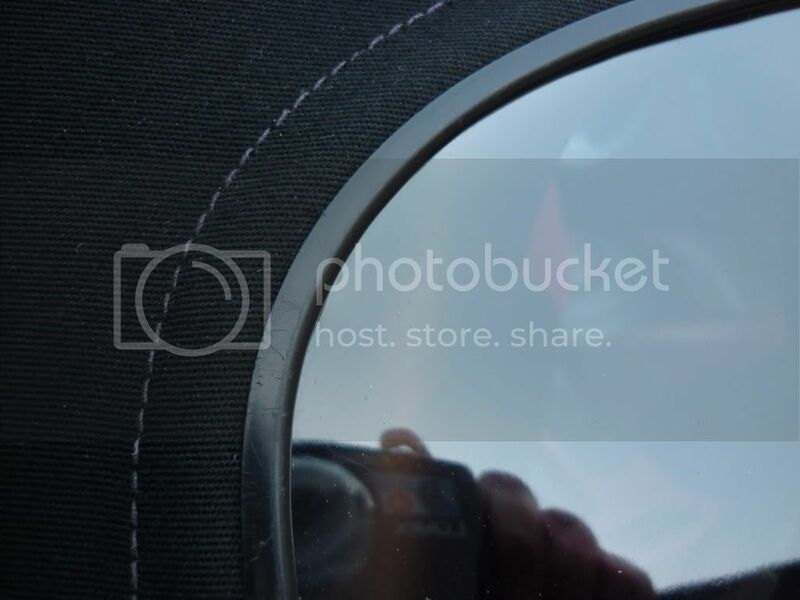 It doesn't include the zip or the plastic trim, assuming they are in reusable condition otherwise the whole lot have to be ordered from BMW and would cost over £300 to supply and fit by Soft Tops. 2) From the German guy, get the whole kit and fit myself (it shoudn't take whole day surely right?) & I'd have replaced the whole thing, zip and all. Softtops in Croydon: £125 fitted but just repalcing the plastic screen and reusing existing zip. Softtops Direct in Romford: £175 fitted same as previous just replacing the plastic screen. How did you find Softtops in Croydon? 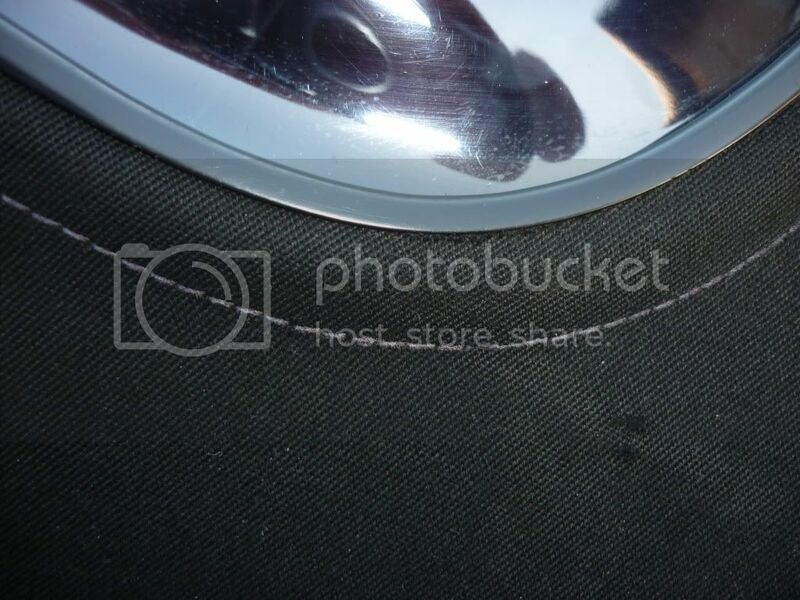 how was the quality of the fit (any stitching showing when they stitch the plastic screen back to the zip) and also any problems afterwards with leaking, etc? The fit and finish were fine. Just had mine replaced by Tony in Coventry. He tells me that for customers who have made a longer journey and want to use up some of the time whilst he does the job, he usually takes them into town so that they can spend a couple of hours at the Transport Museum (no Zeds in there last time I visited, but still well worth a look ). He replaces the screen, retaining the original zipper/plastic surround, and it looks to be a very neat and tidy job. How much was it ? It was same price as noted by BimBeemer - £140 - seems to be consistent. Cannot comment yet regarding it being leak free (too early to say) but result looks very original . I had made the mistake of putting the hood down when it was cold and given that it was the original screen (>10yrs old) it was age hardened/brittle and split top to bottom. Well I have been searching as well and I can't find the one I mentioned either. The only other one I can find is the one below but this has a material flap around the edge instead of a plastic bead so not sure what it would be like but at £55 it is cheap maybe too cheap who knows. Thanks Gary and Toony. Both look viable options. Will probably go for which ever will get done in quickest time including travel time to & fro. well on reflection i decided to fit the cheap window from ebay ,i kept the old window incase i needed to put the beading on the new one !. after a little fiddling got it to zip in at the right position no ripples , although not as neat as the one with the beading on ! the fabric trim is glued over the hood trim and have to say not a bad finish ! so the cheap ebay window does the job no problem ! 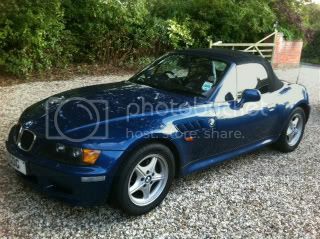 Must get mine done in time for the summer, when I will unfortunately be looking to sell my Z3 after years of fun. Been making do with some tape on it for now, but it looks awful! At least it still goes down for now though with the few days of sun we've been getting. Took the hardtop off, spent the day cleaning and polishing so the good lady could enjoy roof down motoring again went out this morning, chamois down roof from morning dew, hit the lower button and 'crack'. Roof is completely split from the bottom middle out to both sides. Considering contacting STCS in Coventry unless anyone knows anyone nearer Lincoln? At least we have the hardtop to keep the car secure, but a pain all the same. You too it must be the weather we are having, I should have put the roof up while it was still warm, I contacted Soft Tops in Coventry they say it will be some time before they do the work, they have a lot on at the moment. Does any one know of a place near Peterborough. I'm now booked in the Hubbard Upholstery, they're in Loughborough so that's not too far from Peterborough. 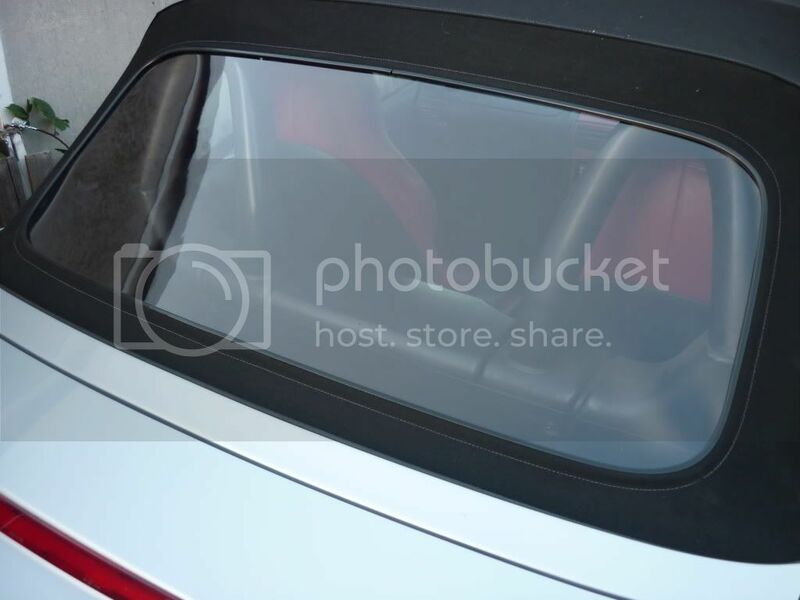 Few people have used on here and seems good, I also have a friend whose just had his Boxster roof fitted by them, said they were very professional. Will up let you know how I get on later this week. If anyone is interested I have a brand new BMW rear window with some damage to the start of the zip where I attempted to fit it myself. The problem was I couldn't get the zip pull to start onto the zip properly, it seemed too tight and messed up the fabric of the zip. I also have the old window complete with good zip that can maybe be fitted onto the new window if necessary. I ended up getting the dealer to fit a whole new window in the end. Another £200 for window plus £75 fitting but I don't think you can beat the correct BMW window and this might be the answer for someone who is prepared to give it a go. Spoke with Tony at Soft tops,Should have rang him today but something came up anyway it will cost £140 all in and not £120 as quoted on the web site and did have Wednesday or Thursday free next week after that he can not do anything until after Easter. Hels Z'd - What did Hubbard Upholstry quote you? I too need this doing after splitting mine when trying to flattenen it neatly to put the hard top on! I would definitely be interested in how you rate the finish, how long it took and when you were able to book it in as I am not too far away. Well after spending only 1.5hrs with Gary Hubbard today I'm pleased to say our rear window has now been replaced, not bad considering I broke it less than 48hrs ago! Gary's done no end of Z3 windows and also carry's out approved repair work for Porsche etc, so you have no concerns about his quality. Interesting whilst chatting to him he did mention that someone else has started doing the same repair work in Loughborough, but as he doesn't have 35yrs+ experience working within the automotive trimming sector, so I think it's best to use the other person with caution. Gary did show me that our roof has actually been replaced in the past, but as the original zip was still in good condition this didn't present any problems. As mentioned after only just over an hour the new window was in place, with Gary offering advise that the new window does need time to 'learn' the correct way to fold. The cost.......one morning enjoying the sunshine, with roof down motoring and £125 well spent with Hubbard Upholstery. Hels Z'd - Thanks for the in depth write up, thats really helpful. I will give Gary a call and book mine in, looks like he knows what hes talking about, and is pretty reasonably priced as well. Yes, thanks for the write up, I too am going to give him a call, wonder if he'd do a Z3 group discount?? kingy1 wrote: Yes, thanks for the write up, I too am going to give him a call, wonder if he'd do a Z3 group discount?? I Havent called yet, was going to ring tomorrow lunch and will mention it if I do, unless u call before? To be honest i wont be able to speak to him before dinner, so if its no problem i'll leave the phone call to you if thats ok. But im sure if theres enough interest he may be able to do us a bit of ' block booking discount' its worth a try in these days of austerity!! Thanks i'll check in tomorrow. This morning I I went off to Loughborough to Hubbard Upholstery for a new rear screen. Gary did the job start to finish in about 1 hour without a hitch! As Hels Z'd found he really knows his stuff when you get chatting to him. My roof was in good condition, and the screen hadn't been replaced before so this made it easier. I'm really pleased, the new one looks great and it was £125. I'd happily recommend him to anyone who needs this done. While I was there he got a call from someone in Surrey wanting him to do the same job for an E46 BMW, so he seems to be well know. I'll certainly be back to him for anything to do with the hood or interior. I've opted for Tony in Coventry first thing on Wednesday so I'll let you know how it goes. eyezcar wrote: I've opted for Tony in Coventry first thing on Wednesday so I'll let you know how it goes.